This lesson covers the key spatial attributes that are needed to work with spatial data including: Coordinate Reference Systems (CRS), Extent and spatial resolution. Be able to list the steps associated with plotting 2 datasets stored using different coordinate reference systems. You will need a computer with internet access to complete this lesson and the spatial-vector-lidar data subset created for the course. The short video below highlights how map projections can make continents look proportionally larger or smaller than they actually are. To define the location of something you often use a coordinate system. This system consists of an X and a Y value located within a 2 (or more) -dimensional space. While the above coordinate system is 2-dimensional, you live on a 3-dimensional earth that happens to be “round”. To define the location of objects on the earth, which is round, you need a coordinate system that adapts to the Earth’s shape. When you make maps on paper or on a flat computer screen, you move from a 3-Dimensional space (the globe) to a 2-Dimensional space (your computer screens or a piece of paper). The components of the CRS define how the “flattening” of data that exists in a 3-D globe space. The CRS also defines the the coordinate system itself. 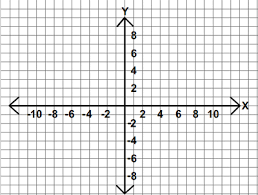 Coordinate System: the X, Y grid upon which your data is overlayed and how you define where a point is located in space. Horizontal and vertical units: The units used to define the grid along the x, y (and z) axis. Datum: A modeled version of the shape of the earth which defines the origin used to place the coordinate system in space. You will explain this further, below. Projection Information: the mathematical equation used to flatten objects that are on a round surface (e.g. the earth) so you can view them on a flat surface (e.g. your computer screens or a paper map). It is important to understand the coordinate system that your data uses - particularly if you are working with different data stored in different coordinate systems. If you have data from the same location that are stored in different coordinate reference systems, they will not line up in any GIS or other program unless you have a program like ArcGIS or QGIS that supports projection on the fly. Even if you work in a tool that supports projection on the fly, you will want all of your data in the same projection for performing analysis and processing tasks. Data Tip: Spatialreference.org provides an excellent online library of CRS information. You can define a spatial location, such as a plot location, using an x- and a y-value - similar to your cartesian coordinate system displayed in the figure, above. For example, the map below, generated in R with ggplot2 shows all of the continents in the world, in a Geographic Coordinate Reference System. The units are Degrees and the coordinate system itself is latitude and longitude with the origin being the location where the equator meets the central meridian on the globe (0,0). Next, you will learn more about CRS by exploring some data. Note that you don’t need to actually submit anything reviewed in this lesson for your homework. It’s just a way to show you how the CRS impacts your data. To begin, load a shapefile using geopandas. Finally you can plot the points on top of your world map. Does it look right? Global map in geographic coordinate reference system with point locations overlayed on top. Next, import proper graticules that can be projected into a particular coordinate reference system. Global map in geographic coordinate reference system with graticules. Geographic coordinate systems in decimal degrees are helpful when you need to locate places on the Earth. However, latitude and longitude locations are not located using uniform measurement units. Thus, geographic CRSs are not ideal for measuring distance. This is why other projected CRS have been developed. You can view the same data above, in another CRS - Robinson. Robinson is a projected CRS. Notice that the country boundaries on the map - have a different shape compared to the map that youcreated above in the CRS: Geographic lat/long WGS84. Below you first reproject your data into the robinson projects (+proj=robin). Then you plot the data once again. Global map in Robinson CRS. What happens if you add the same Lat / Long coordinate locations that you used above, to your map? Remember that the data on your map are in the CRS - Robinson. If you overlay points in geographic coordinate reference system (WGS84) on top of a map projected using Robinson, notice that they don't line up properly. Notice above that when you try to add lat/long coordinates in degrees, to a map in a different CRS, the points are not in the correct location. You need to first convert the points to the same CRS that your other data are in. The process of converting a dataset from one CRS to another is often referred to as reprojection. In python, you use the .to_crs method to reproject your data. If you reproject your points to the Robinson CRS, then they plot nicely on top of the basemap in the spatial location that they belog. Both of the plots above look visually different and also use a different coordinate system. Look at both, side by side, with the actual graticules or latitude and longitude lines rendered on the map. Notice the x and y axis units on these two maps are completely different. This is one reason why points in a geographic WGS84 CRS don't line up properly when plotted on a map in another CRS like Robinson. However if you reproject the data, then they will line up properly. of features in the data. And no one CRS is great at optimizing all three elements: shape, distance AND area. Some CRSs are optimized for shape, some are optimized for distance and some are optimized for area. Some CRSs are also optimized for particular regions - for instance the United States, or Europe. Discussing CRS as it optimizes shape, distance and area is beyond the scope of this tutorial, but it’s important to understand that the CRS that you chose for your data, will impact working with the data. We will discuss some of the differences between the projected UTM CRS and geographic WGS84 in the next lesson. Compare the maps of the globe above. What do you notice about the shape of the various countries. Are there any signs of distortion in certain areas on either map? Which one is better? Look at the image below which depicts maps of the United States in 4 different CRSs. What visual differences do you notice in each map? Look up each projection online, what elements (shape,area or distance) does each projection used in the graphic below optimize? Geographic coordinate systems: coordinate systems that span the entire globe (e.g. latitude / longitude). You will discuss these two coordinate reference systems types in more detail in the next lesson. Read more on coordinate systems in the QGIS documentation. For more on types of projections, visit ESRI’s ArcGIS reference on projection types..
Read more about choosing a projection/datum.